This elegant guide for spiritual sharing offers small groups the opportunity to connect through readings and journaling assignments. It features thought-provoking exercises on topics ranging from forgiveness and loss to nature, money, and friendship. 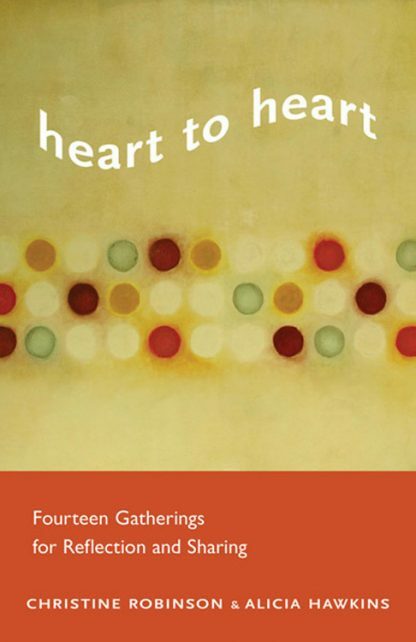 An easy-to-use handbook for both leaders and participants, Heart to Heart includes exercises for personal contemplation before each meeting and outlines a program for sharing these reflections in a small group. The authors present a model for careful, uninterrupted listening that allows participants to feel truly heard. Enriched by the experience, group members can take what they learn about themselves and each other into their homes, churches, and the wider world. * Proven model for personal and spiritual growth. * Creative and engaging activities for participants to try at home and guides readers through the program in an easy-to-use format.